Whites won their second game at Crabble this season with a convincing 4-0 victory over struggling Chester. Giancarlo Gallifuoco headed in a first-half opener with further goals from Mitch Pinnock, Nortei Nortey and Mitch Brundle after the break. Pinnock registered the shot of the match, but the winger’s angled volley flew over the bar. Kingsley James fired an early warning at Walker and Andy Halls could only find the side-netting after opting to shoot rather than cross as the visitors grew in confidence. But the home side opened the scoring on 21 minutes thanks to Giancarlo Gallifuoco. The Australian rose above a static Chester defence to head in Mitch Brundle’s accurate corner. A Chester reply was almost instant, but Walker easily caught Ross Hannah’s strike from inside the penalty box. With half-time on the horizon, Walker dived onto Hannah’s low drive and the same striker curled a free-kick over following a clumsy challenge on him by Connor Essam, resulting in a booking for the Dover defender. Harry White diverted Hannah’s cross wide and Lucas Dawson smashed over following good work from James as the visitors searched for a leveller. But Dover’s defence was not to be breached and they pulled further ahead on 62 minutes when Pinnock collected Brundle’s pass and fired into the bottom corner from twenty-yards, leaving away stopper Alex Lynch no chance of saving his shot. It was the midfielder’s first league goal for Whites and seven minutes later another Dover player had the same accolade. 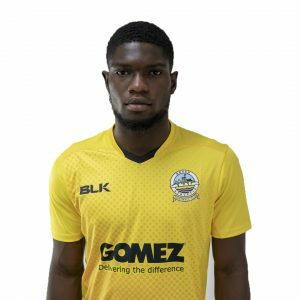 Sub Tobi-Sho Silva got the better of Ryan Astles on the left and his low centre found Nortei Nortey free in the area to sweep home his first goal in a Whites shirt. Kadell Daniel struck the angle of post and bar with a fierce effort, before Brundle made the points safe on 82 minutes. 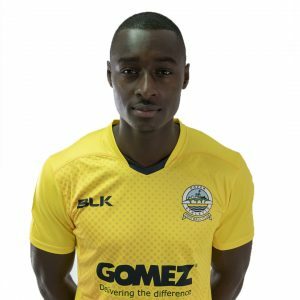 Sho-Silva’s run and shot was parried by Alex Lynch into the path of Dover’s captain, who slipped the ball underneath the away keeper. It was almost five in stoppage time, but Lynch denied both Pinnock and Brundle following a lightning counter attack from a Chester corner. Earlier, Chris Kinnear made one change to the side that started the midweek defeat to Boreham Wood as Kadell Daniel came in for Jamie Allen, who dropped to the bench. The result moves Whites up to 2nd in the table on goal difference, level on points with new leaders Aldershot Town. Athletic next play Sittingbourne FC on Tuesday night at Crabble in the second round of the Kent Reliance Senior Trophy. Kick off 7:45pm. Dover: Walker, Gallifuoco, Essam, Parry, Passley, Brundle(c), Nortey, Ilesanmi (Deen-Conteh 85), Daniel (Richards 80), Bird (Sho-Silva 58), Pinnock. Chester: Lynch, Halls, Astles, McCombe(c), Mahon (Akintunde 63), Joyce (Waters 71), James, Dawson, Rowe-Turner, White (Bell 61), Hannah.